Japanese chemicals supplier Kuraray is buying US-based DuPont’s glass-laminating and vinyls business for US$543 million, in line with DuPont’s plan to shift its focus to agriculture, alternative energy and speciality materials. The sale is expected to close during the first half of 2014 pending customary regulatory approvals. 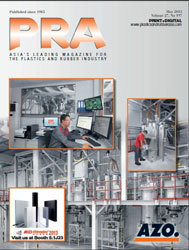 The business, which makes polyvinyl butyral and ionomer sheets for safety glass, and vinyl acetate monomer and polyvinyl alcohol (PVA) products used in a variety of architectural, automotive and industrial applications, will allow Kuraray access to cheap US natural gas, which is a key raw material, according to analysts familiar with the company. DuPont’s GLS/Vinyls delivered full-year 2012 net sales of more than US$500 million. It has about 600 employees with six manufacturing sites in the US, Europe and Asia that serve more than 350 customers worldwide. As part of DuPont's shift to high-growth areas, the company said last month it would spin off its performance chemicals business, which makes paint pigments and materials used in non-stick frying pans, into a separately traded public company within 18 months. Keiji Murakami, President of Kuraray’s Vinyl Acetate Company said, “Kuraray was one of the first to successfully industrialise and globally market PVA. 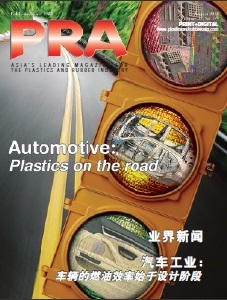 As a pioneer of Vinyl Acetate related business, Kuraray has a global presence in the business area of PVA resin, PVB resin and film, PVA film that is used for LCD and detergent unit packing, EVOH (ethylene vinyl alcohol) resin (trademarked as EVAL) used for food packaging and gasoline tanks, and PVA fibre (vinylon) that is used for a substitute of asbestos and a reinforcing material of cement. “We will benefit from DuPont’s talented global GLS/Vinyls team and their technology, R&D, manufacturing and sales network that has supported it over the years. I am convinced these areas of expertise will allow us to continue to expand our Vinyl Acetate business going forward,” said Murakami. Kuraray was established in 1926. In 1950, the company achieved a corporate milestone as the first in the world to bring polyvinyl alcohol synthetic fibre to market. In subsequent years, Kuraray used its proprietary technology in the area of polymer chemistry and synthetic chemistry to develop resins, chemicals, fibres and textiles and others. Kuraray has overseas subsidiaries in 19 countries and regions outside Japan, as a global specialty chemical company.